Routine II of the Chen-style New Frame Taiji Quan is also known as the Cannon Hammer with quick, compact, swift and violent movements. It takes the movements of Pulling Downward, Bend Backward, Elbow Stroke and Shoulder Stroke as its main forces, and Ward off, Stroke, Push and Press as its auxiliary forces. It also stresses on the exercise of the springiness force. 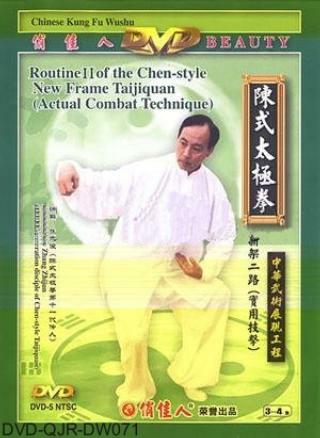 In this teaching program, master Zhang Zhi-jun demonstrates the practicing methods and movement essentials, and also stresses on the combat techniques of the Chen-style Taiji Quan. The movements are demonstrated and explained clearly to let you follow easily.